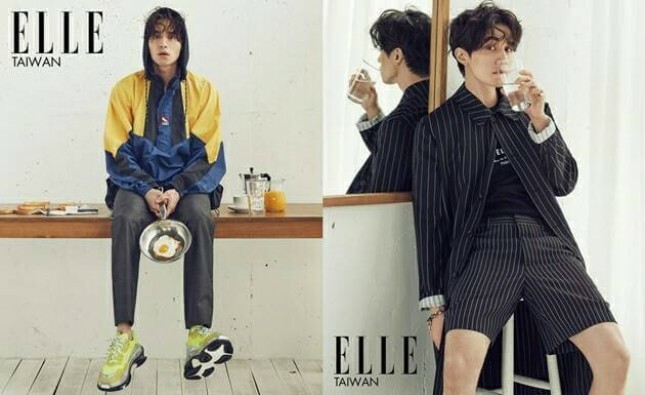 INDUSTRY.co.id - South Korea - South Korea's handsome actor Lee Dong Wook recently lined up to cover the magazine Elle Taiwan for the March 2017 edition. Not only did the photoshoot, the Goblin drama actor also had an interview with Elle Taiwan. The 36-year-old actor discussed many of his work as the most popular actor. He stated that his dreams were much different when he was younger. "When I was younger, I was good at Korean, so I really wanted to be a Korean teacher. After that, I think again want to be a fireman. I think it's a wonderful job to save someone's life, "said Dong Wook at the time. Dong Wook also recounts the process he can finally fall in love in the role of the world. "I happened to see a movie in the cinema, and I became interested, thinking about what it would be like if my face suddenly appeared on the big screen," he said. Lee Dong Wook admits that many people around him are suggesting being a celebrity. Because it was enough to make him curious, finally Dong Wook decided to try it. "I became an actor at a young age without knowing anything.After becoming an adult, acting became more difficult, and I became more stressed," added Song Ji Hyo's close friend.